Created by Steve Worswick, Mitsuku is a personal chatbot that wants to be your new best friend. 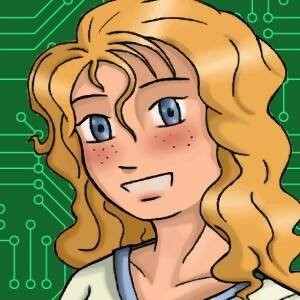 Mitsuku won the Loebner Prize twice, for being the most human-like AI. Mitsuku comes with tons of features which are meant to keep you entertained for hours. How will the chatbot fare against our expectations? Well, let’s find out! Mitsuku is available on Kik, Skype, and its official website. In Kik, you have to search for the chatbot under “Discover Bots.” On opening the chat with Mitsuku, it will send you a smiley, signifying the chatbot is ready to talk to you. From here on, you can talk to the chatbot in any way you want. As an AI powers the chatbot, Mitsuku has natural language processing, allowing it to understand everything we have to say. For example, if you ask the chatbot whats up, it will tell you the sky, ceiling, etc. If you want to know the capabilities of Mitsuku, you can ask the chatbot what it can do. The chatbot will introduce itself and tell you everything about itself. The chatbot has a lot of features that will keep you entertained for hours. You can ask the chatbot to give you the weather forecast for any city. If you reside in the UK, the chatbot will tell whats on at the cinema. You can ask the chatbot to give you the horoscope for the day. The chatbot can also tell you about all the events that took place if you provide it with a date. For example, if you tell the chatbot you were born on August 4th, 1993, the chatbot will give you a timeline of all the events that took place till you were born. The chatbot will also tell you your star sign, your birth stone, and the number one UK hit single on the day you were born. The chatbot can give you a list of songs that are the top 40 songs in the world. The chatbot is also capable of telling you about which songs were on top of the charts in the UK, since 1952. The chatbot can tell you stories, poems, jokes, and horoscopes. You can search for pictures and websites on the internet. While the chatbot tells you that you can play games with it, the developer didn’t add any games to its programming. You can also ask the chatbot questions about anything in the world. For example, if you ask the chatbot about global warming, Mitsuku will explain the concept to you. If you try to talk about sensitive topics, the chatbot will take a neutral stand. Also, the chatbot tries to be funny as often as possible. There are almost no limitations as the chatbot can talk about pretty much anything and everything. You can ask the chatbot if it wants the blue pill or the red pill and it will give you an answer. Due to natural language processing, it is fun talking to Mitsuku. Even though Mitsuku is a chatbot, it doesn’t feel like you are talking to one. If you keep changing topics, the chatbot will respond accordingly. Mitsuku is one of the best chatbots in the world, available on Kik and the internet. After chatting with the chatbot, you can understand why it won the Loebner Prize twice for being the most human-like AI. As the chatbot has natural language processing, it is extremely easy to have a conversation. The chatbot comes with a lot of features that make it interesting and entertaining for hours. Do give Mitsuku a try on Kik Messenger!